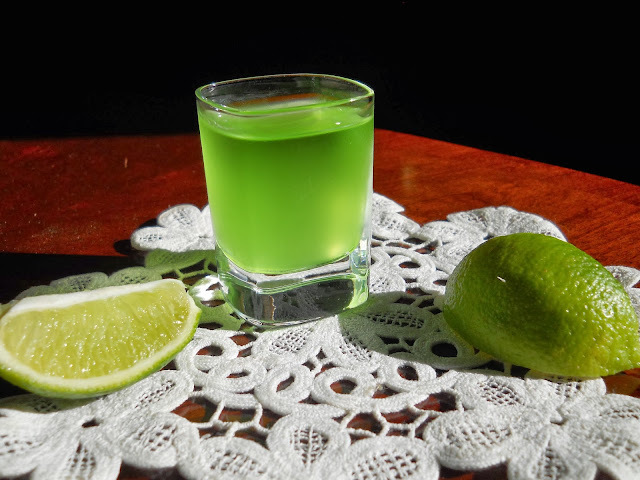 I recently tried my hand at the Devil's Kiss, made with AGWA Coca Leaf Liqueur. This was suggested to me to be a great option for Halloween, considering the spooky green glow AGWA gives off when it is frozen for at least four hours. Now, I'm not going to pretend to be a master mixologist here. The Devil's Kiss is simply a shot of frozen AGWA. The catch is that you are supposed to bite into the lime wedge before shooting it. 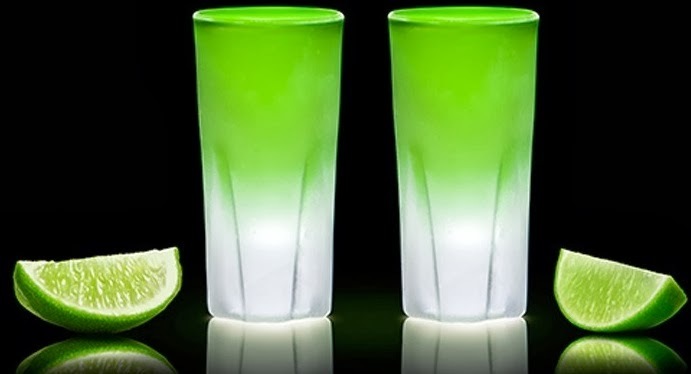 I'm sure you all already know what happens when you bite into a lime wedge, right? Exactly, no scurvy for you! But seriously, that mega citrus rush went very well with the sharp herbal flavors of the AGWA while you feel an intense spirits cleansing of your palate. The 30% alcohol seemed even a little more potent than that. AGWA has some very interesting flavors, very complex with all the herbs. And lime is a natural companion. Definitely a shot I think would be popular on a holiday like Halloween. Watch out for the "AGWA Buzz" though! Below is the professional photo. Above is mine. Which do you like better?